But, lo and behold, he breaks his hip during the trip and must explain his injury to the nation he thought he could fool. 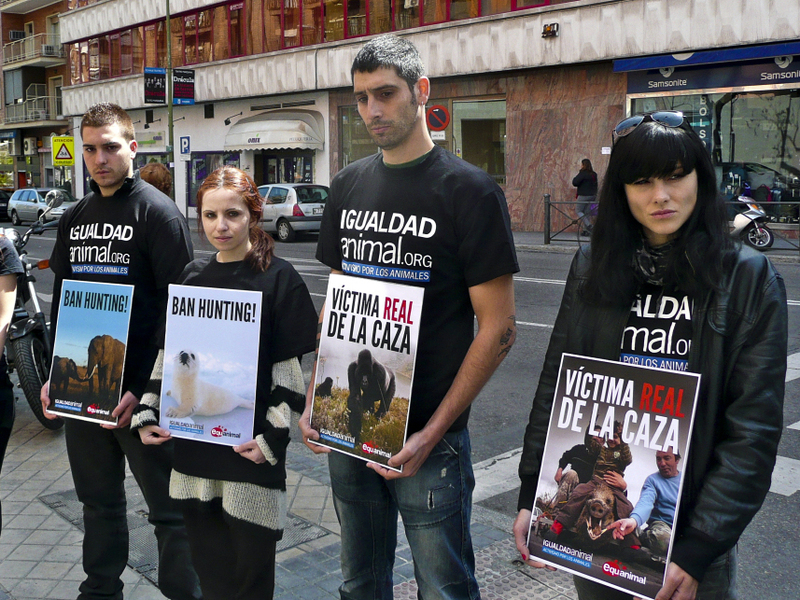 Animal rights, WWF, and the unemployed, underserved Spanish people are up in arms. This guy dug himself a whole so deep you could bury a trophy hunted elephant in it. 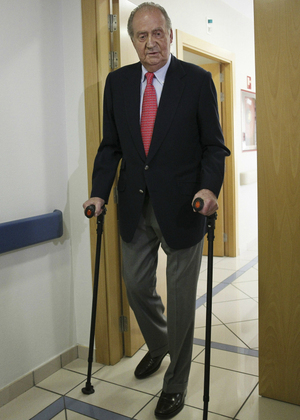 For a man used to pomp and paparazzi, King Juan Carlos of Spain looked shaken, emerging from a hospital in Madrid Wednesday after hip surgery. As Spaniards grapple with severe austerity measures and 24 percent unemployment, their king is dealing with a different kind of pain — extreme embarrassment over public outrage upon his return from an elephant hunt in Africa that cost nearly $60,000, or more than twice the average salary in Spain. And the Spanish public only found out about the trip because he broke his hip — hence the recent surgery — and had to be airlifted home. The Royal Palace confirmed that this is the first time a Spanish king has ever said he’s sorry — at least publicly — for anything. But it’s not enough for Rafa Lucia, a social worker smoking in the rain outside a Madrid library. He’s been jobless for months. The government cut his local school’s budget by 30 percent. And the Royal Palace’s budget? “They cut just 2 percent. 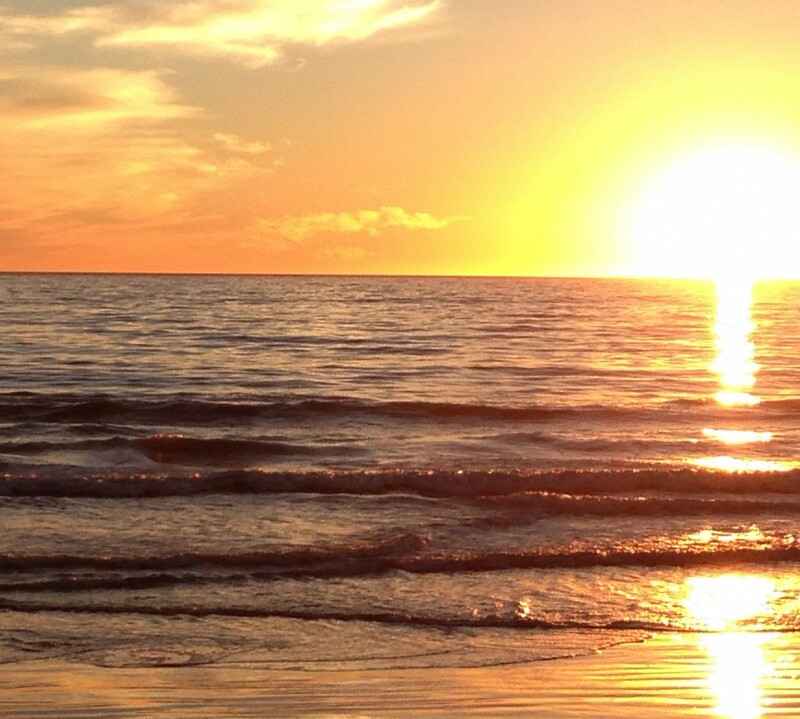 And now this. It’s like, OK, so the government doesn’t cut [their budget], and now he’s spending the money in Africa killing elephants,” Lucia says. Spaniards can’t decide which would be worse — whether their king might have spent public money on his jaunt to Botswana last week, or whether it was paid for by an Arab businessman courting favor, as some reports say. Either way, there are calls for the king’s abdication. Maybe it wouldn’t be so bad if the king hadn’t recently given a speech calling on Spanish leaders to think about their own behavior and set an example of modesty amid recession. He also said he loses sleep worrying that the unemployment rate among young Spaniards is 50 percent. EnlargeLauren Frayer for NPRMembers of the animal-rights group Igualdad Animal protest outside the Madrid hospital where Spanish King Juan Carlos was recovering after hip surgery this week. 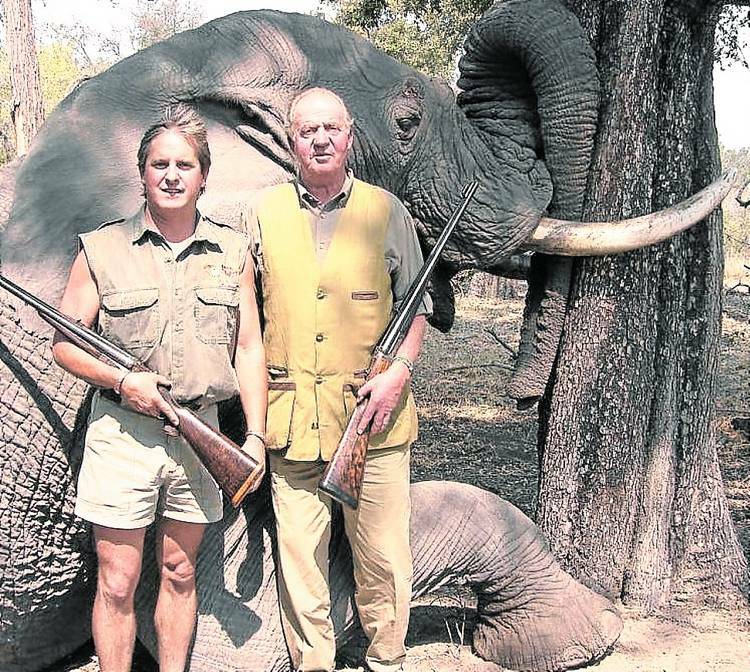 The king, who went elephant hunting in Africa, is the honorary president of the World Wildlife Fund in Spain. Sharon Nuñez, an animal-rights activist, organized a protest outside the king’s hospital this week. Volunteers lined the street with photos of maimed elephants and water buffalo. “That’s the funny, ironic thing about it — we have someone who’s going out killing elephants, killing animals, and he’s representing an international environmental organization,” Nuñez says. She’s referring to the fact that the king is the honorary president of the World Wildlife Fund in Spain. This proved particularly awkward when a snapshot of Juan Carlos began circulating online this week. It shows him posing in front of an elephant he shot dead in Botswana in 2006. WWF’s conservation director for Spain, Enrique Segovia, says he has requested an audience with the king to discuss whether he’ll keep that position. Spain’s monarchy is mostly symbolic, but well-respected. Juan Carlos was hand-picked by Gen. Francisco Franco to lead Spain before the dictator died in 1975, and the king is credited with easing the country’s transition to democracy. But college student Roy Alexander Bouzas says times have changed. It’s been a tough year for Spain’s royals. The king’s son-in-law is the subject of a corruption probe. And last week, police began investigating an incident involving the king’s 13-year-old grandson, who recently shot himself in the foot. Regardless of what happens to him as a leader in his country, he should IMMEDIATELY step down as the honorary president of the WWF in Spain. No question there at all! !